Our 40 days prayer guide is called ‘Catching the Wave’. The guide has daily themes as well as useful articles. In particular people are encouraged to pray for their own ‘Big Issue’, for three friends to become Christians and for a new wave of revival to break on this land. Praying like this can be done individually and it is also something that you can do with others in a connected way – your house group or church. You can order a copy of this prayer guide for £4.50 plus p&p (10 copies@£3.75 each, 50 copies@£3.00 each) by visiting www.thereishope.co.uk/resources or emailing booklets@trypraying.co.uk. You can preview the content by clicking the image. In addition if you enter your details in the boxes below, we’ll automatically send you an email every day for the next 40 days. The content is taken from the ‘Catch The Wave’ prayer guide. 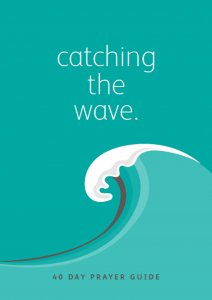 Each day’s email corresponds with a day in ‘Catch the Wave’. It has helpful tips and pointers to guide you on your prayer journey. These emails are free but if you wish to contribute to the costs of sending them you can donate here: donate. There is a parallel initiative called ‘trypraying’ which is an encouragement for those who are not religious and don’t go to church to begin praying. 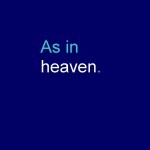 See www.thereishope.co.uk for resources and www.trypraying.co.uk for enquirers.